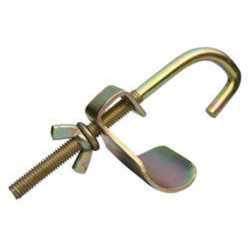 Leading Manufacturer of universal scaffolding clamp, scaffolding joint pin, wedge clip for scaffolding, scaffolding water stopper, spigot pin and rapid clamp from Chennai. 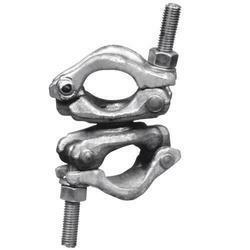 Our esteemed clients can avail from us an exclusive range of Scaffolding Universal Clamp that is made from high quality HR sheet. These are well known for their high functionality, requires less maintenance and high performance. We offer these in various sizes such as 440 gm, 480 gm, 500 gm & 525 gm as per the client’s requirement. They are specially designed by the experts keeping in mind the specific needs and demands of clients. Clients can avail these at competitive prices. we are passionately engrossed in offering Joint Pin to our clients. Our professionals make constant efforts to provide this rental service within the promised set of time span. While rendering these services, we utilize quality assured joint pin. Also, we are offering these services at very reasonable rates. 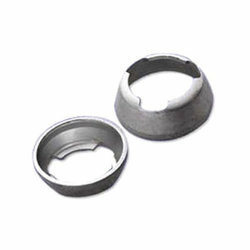 Leveraging upon our rich industry experience, we are offering our clients impeccable quality Wedge Clip. 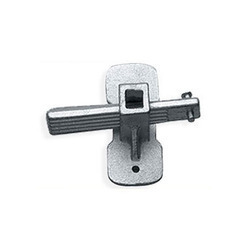 This clip is manufactured with high precision using high grade raw material and modern technology. The offered wedge clip is meticulously tested on various quality parameters before delivering it to clients. Moreover, clients can avail the offered wedge clip from us in various specifications in terms of size and dimension at economical prices. 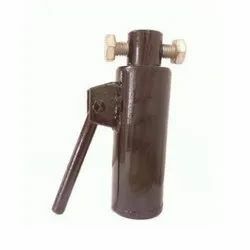 Product DescriptionWith the valuable assistance of skilled team of professionals, we are engaged in offering an extensive range of high-quality Water Stopper. Fostered with immense years of industry experience and market understanding, we are offering a wide gamut of spigot Pin. We manufacture this coupler with the help of advanced technology using supreme grade raw material in sync with the industry standards. 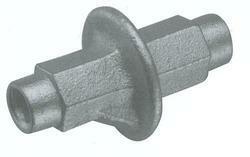 Available in both, standard and customized options, we offer this Joint Pin at very nominal price to the clients. 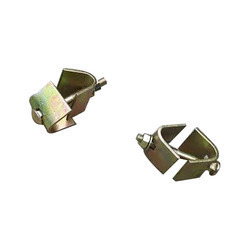 This precisely manufactured Metal Fixing Clip is made of top grade metal and has a perfect construction. 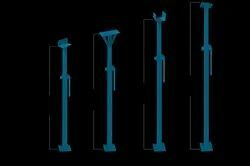 Marked by the usage of advanced technology, we are presenting a broad assortment of Pressed Ladder Clamps. 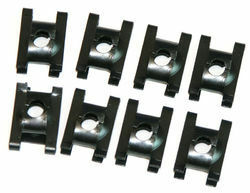 These clamps are fabricated by the team of qualified professionals possessing wide knowledge of their respective area. The offered range is available in varied specifications and can be customised as per market preferences. These offered products can be purchased from us at market leading rates within stipulated periods of time. 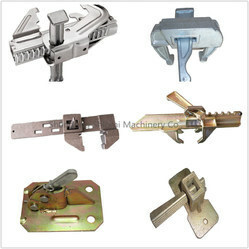 wing to our enriched industrial experience, we are devoted towards manufacturing, exporting and supplying a wide variety of excellent quality Rapid Clamp. On the guide rail when regular clamps can't get around the item being cut. 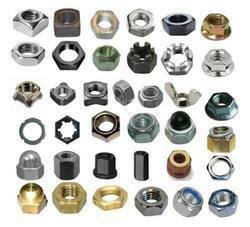 We are a remarkable entity, engaged in manufacturing, exporting and supplying a qualitative array of Jack Nut. 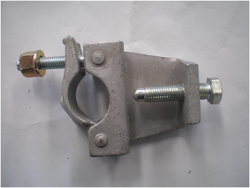 Widely used in scaffolding adjustable jacks. 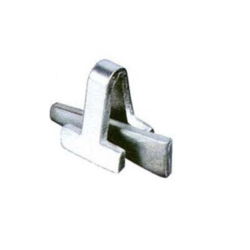 Keeping in mind the ever-evolving requirements of our clients, we are devoted towards manufacturing, exporting and supplying an optimum quality range of Prop G Pin. 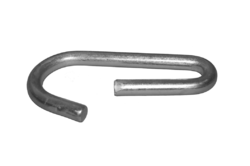 In both light-duty and heavy-duty steel shoring prop system. 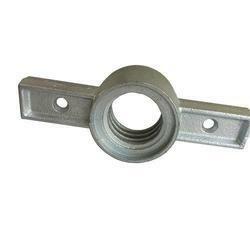 Product DescriptionOur company has gained name and fame in presenting Flower Base Plate for Scaffolding (HDG Base Plate). With the valuable assistance of skilled team of professionals, we are engaged in manufacturing, exporting and supplying an extensive range of high quality Scaffolding Bottom Cup. 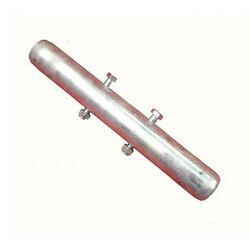 Our customers can avail from us a wide range of Scaffolding Pipes. These products are developed in strict compliance with the international quality norms and standards using cutting-edge technology and facility. 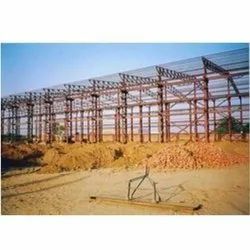 The offered range of scaffolding pipes is extensively used for supporting heavy platforms across the industry.Available in standard and customized forms, these are offered as per the customer’s requirements. We specialize in manufacturing the best-in-class range of Construction Scaffolding for our customers. Immensely used for construction of bridges, buildings and other structures, these products are available in various lengths & thickness as per the client’s demands. Before the end delivery, our products are rigorously examined on certain well-defined parameters of quality for its durability and high efficiency. 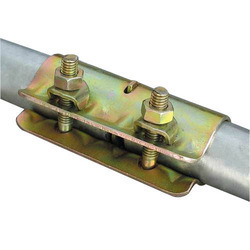 Our offered range of Scaffold Joint Coupler is high in demand in the national as well as international markets. The skilled & semi-skilled labors hired by us use high quality raw material including metal and alloys to manufacture these products with the help of our precise engineering. 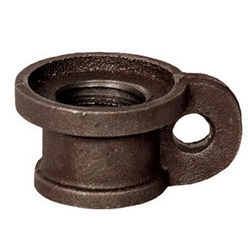 Our esteemed clients can avail these products in standard sizes and dimensions as per their requirements. 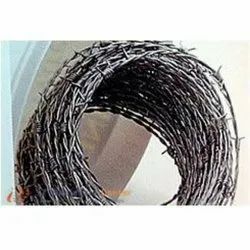 Our valuable clients can avail from our organization a competitive range of Barbed Wire. These quality approved products are manufactured using premium grade galvanized stainless steel, 10 swg to 14 swg galvanized wire and PVC coated wires at our infrastructure premises. The offered range provides vital protection for the rest of a fence by preventing downward pressure from cattle or other heavy animals.